The weekend's Premier League action starts with a fixture that usually promises goals. Michael Cox and Alan Thompson preview the action. 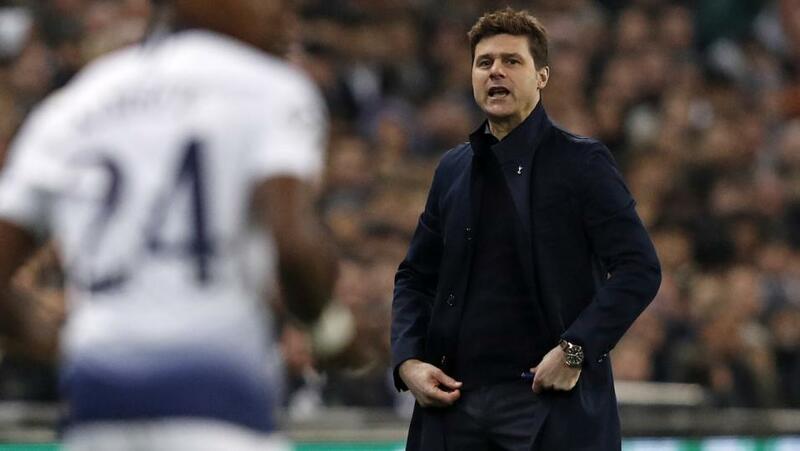 "Mauricio Pochettino seems likely to use a three-man defence here, potentially matching up Arsenal in that system"
This time last week, Tottenham were seemingly an outside bet for the title, while Arsenal were merely challenging for the Champions League places. Suddenly, after two Spurs losses and two Arsenal wins, there are just four points behind the sides. Spurs have endured a disastrous week, falling 2-1 to a physical Burnley side where Mauricio Pochettino's tactics were exposed and the manager lost his temper, before being defeated 2-0 by a technical Chelsea side in midweek. Pochettino used a 3-4-1-2 system at Burnley, then switched between 4-2-3-1 and a diamond midfield at Stamford Bridge. None of the formations proved particularly effective. Pochettino also has a serious problem at right-back, with neither Serge Aurier nor Kieran Trippier looking up to speed recently. Aurier makes too many silly mistakes and Trippier leaves too much space behind him - the less said about his own goal against Chelsea the better. Back to three at the back? Pochettino seems likely to use a three-man defence here, potentially matching up Arsenal in that system, although it's worth noting that in the reverse fixture, a 4-2 Arsenal win, both teams used a three-man defence and a four-man defence at different points, showing their tactical flexibility. But with Arsenal potentially playing two upfront, three centre-backs seems the best approach for Pochettino. Juan Foyth was exposed against Burnley last weekend and therefore Davinson Sanchez seems the better bet to join Jan Vertonghen and Toby Alderweireld, who was caught out for Pedro Rodriguez's opener in midweek. Spurs need a good performance from their defence, especially with Hugo Lloris in poor form. Out wide, Aurier will hope to be recalled after Trippier's struggles in midweek, while on the left Danny Rose is the more dynamic option and should come in for Ben Davies. Centrally, Mousa Sissoko and Harry Winks has become the default combination - the latter is showing more attacking drive in recent weeks, and hit the bar in midweek with a long-range effort. Christian Eriksen is likely to be deployed in a number 10 role, possibly asked to pick up Lucas Torreira. Harry Kane and Son Heung-min have looked out of sorts in the past couple of games, but both are excellent at running into the channels and caused Arsenal serious problems in the reverse fixture. Kane has eight goals in eight Premier League starts against Arsenal. Unai Emery, as ever, has a series of defensive injury concerns here. Hector Bellerin and Rob Holding are long-term absences, while Stephan Lichtsteiner, Sead Kolasinac, Laurent Kosicelny and Ainsley Maitland-Niles are all considered doubtful. The problem on the right flank means Emery was forced to field Carl Jenkinson at right-wing-back for the 5-1 thrashing of Bournemouth, although he'll be keen to avoid that last resort here. Shkodran Mustafi was rested in midweek but will surely play here, with Sokratis Papastathopoulos another probable starter. The third centre-back should be Koscielny, if fit, with Nacho Monreal playing to the left if not. Perhaps Emery's biggest concern is Kolasinac, who has been a serious attacking force down the left in recent weeks. Monreal is the alternative, but doesn't offer anywhere near the same level of attacking drive. On the opposite flank, Maitland-Niles could be a good bet to play. Emery seems likely to use a 3-4-3 here. Granit Xhaka and Torreira represent his best midfield partnership, with Matteo Guendouzi guilty of a mistake in possession for Bournemouth's consolation goal in midweek. Further forward, there are several questions. Will Mesut Ozil be trusted in terms of work rate for a fixture like this? Is there a place for Aaron Ramsey? Is Alex Iwobi used to bring the best out of an overlapping wing-back? Is Henrikh Mkhitaryan undroppable after getting both a goal and an assist in each of his last two starts? Does Emery want to play two upfront? It's three from about six in the final third. My hunch is that he'll deploy only one forward, either Lacazette or Aubameyang - probably the latter - and use Iwobi and Mkhitaryan drifting inside from the flanks. I fancy a draw here. These are two well-matches sides, and I think the managers might change their tactics in reaction to the other, and end up cancelling each other out. [3.7] seems a good price for a stalemate. There is plenty more than just bragging rights in this north London Derby; Arsenal have the chance to close the gap on their neighbours to just one point if they can claim a victory at Wembley. On current form there is every chance they will do, coming into this on the back of five wins in their last six Premier League starts, while their hosts have suffered successive defeats at Burnley and Chelsea. Spurs though will be pleased to be back on home soil where they have lost just one of their last 10 home league fixtures. Harry Kane’s recent return is a boost to the squad (despite them losing both games). Only Tottenham and Manchester United have scored more away goals than Arsenal’s 25 so far this campaign but the Gunners have conceded 26, that’s more than anyone in the top half of the league. Unai Emery’s team on the road are conceding an average of two goals per game and thus far they have failed to keep a clean sheet. Generally this fixture doesn’t disappoint for the neutral, the teams shared six goals the last time they met at the Emirates in December (Arsenal 4-2). I think Both teams to Score looks a good bet for anyone that doesn’t mind backing odds on, trading around [1.6]. Over 2.5 goals is also trading odds on at around [1.7], so I will be splitting my stake. I will be backing Over 3.5 goals before kickoff at [2.8] with half and then placing the other half on Over 2.5 goals with a “keep” bet to be matched in-play should the market reach [2.0].